Sometimes, your brain has an idea for a map, and it turns out looking good. Sometimes, your brain has an idea for a map, and it's rather messed up. This is a little bit of both. This map is good. Personally, I wouldn't have made the platforms solid. Also, the falling blocks don't add much to the map; they just get in the way. I love the tile choice though; it's an all around good map, and I enjoyed playing it. I made the blocks solid because they were the first pieces of walkable ground I put in the map, and, therefore, if I left the tile types the same, you'd fall behind everything and it wouldn't look polished. Also I slipped in the Donut Blocks because I wasn't that confident of the player's ability to get up to the topmost platform. Thanks for your C+C, though. Okay, now you're just ignoring me. Honestly, I leave for a couple of days and some newbie (not mentioning any names...) comes. Then everybody sees my topic there, callously ignores it, and posts in everybody else's instead. Do you want me to become the next EarthBound? It's supposed to be a windy sky with clouds blowing everywhere... the vine broke in the wind and blew back, so now you know what the cut off-looking vine pieces are doing there. The wind is blowing from left to right, so vertically-moving clouds move slower than horizontally-moving ones. Designed for use with Classic mode. Ice blocks, spikes, and ? blocks abound, making for lots and lots of stuff you can use to maul your opponents with. There. Now get requesting! I'm currently at a creative "empty". Also I'll get to work on that house map. Kirby is so freakin' easy to draw. This shouldn't take but 5 minutes. Tried to make it cartoony. I think it worked. The four basic elements, in one convenient location. Water pours in from Parts Unknown (c) to fill a basin in the upper-left corner, a hole in the basin pours out to cool a platform in the lava-filled fire tank in the bottom-left, rocky cliffs dominate the bottom-right, and clouds drift in the upper-right. There's also a death hole covered by Switch Blocks - an effective booby trap location. Kirby looks a little..... .....Small. 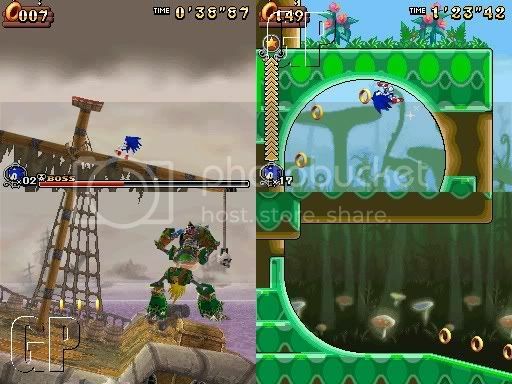 woah.i like these maps.could i get a request of all the sonic rush and sonic rush adventure levels.i need these levels for a mod i didn't mention (sonic rush wars).credit will be given. Kirby's only eight inches tall... he's supposed to be small. And Rero, I will only map the levels if you provide pictures of each and every stage or, at the very least, level descriptions. I'm not refusing your offer, it's just that I've never played either of those games before. Copied from the second area in said picture. You can't actually go up the loop... also, I added some mushroom platforms (blocks included) so you can actually get up to the top of the arena without burning up and dying. Done as a request for MattTheSpratt over PM. It's based off of the first stage of Contra (for the NES and arcade), and then I decided it was too short so I added in a moving death platform. I'm, uh, not actually that good at this map.